I had a simple work goal when I was in College - to be a bartender. I would love to work behind the bar while I make drinks and talk to guests. After graduation, I got my first job title - a Barista. Not a Bartender. It is pretty much the same - only better - because you serve coffee enthusiasts, sober guests and you feel like a master of some rare skills. Filipino truly loves their coffee. In fact, we love our coffee so much that the Philippines consistently ranks among the countries with the highest rate of coffee consumption in the world. Needless to say, working as a barista in a country where coffee is embedded in everyone’s daily routine is no easy task. Making the perfect blend to satisfy every coffee lover’s discriminating taste ultimately requires a great deal of skill, creativity and patience. One Filipino barista making a name for himself is Justin Dela Fuente of Costa Coffee Philippines. He recently bested other baristas from here and abroad in the Southeast Asia and Indian leg of the annual Barista of the Year (BOY) competition by Costa Coffee. 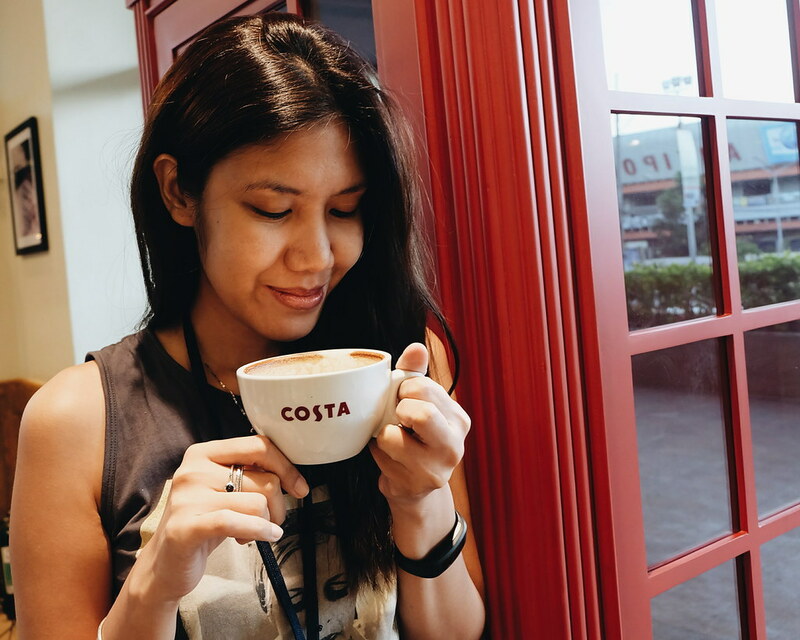 Seeking to find the crème de la crème in coffee-making, Europe’s #1 Coffee Shop challenges all the Costa Coffee baristas in the world to create a signature drink in hopes of winning the Barista of the Year award in London, UK. In January 2017, Justin is set to take a shot at the coveted title as he will proudly represent the whole region of Southeast Asia and India. 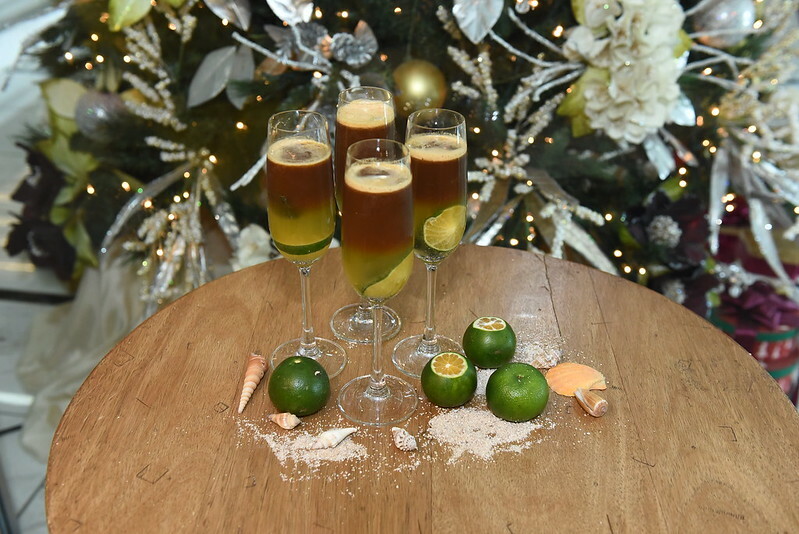 Wow, I didn't know you can mix calamansi with coffee. I once tried mixing orange juice with espresso but my concoction failed. Have the right amount of patience. - Perfecting your first cup of coffee takes time. Even the greatest baristas didn’t make a perfect latte art or even the perfect brew at first try so there’s no reason to be intimidated. You’ll encounter spills and burns along the way but with the right attitude, everything’s going to be worth it. Learn from your mistakes and take a shot at it once more. Or twice. Or even thrice. Just keep on trying until everyone wants a taste of the blend you worked so hard for. Overflow with passion. - If there’s one thing you can put too much of in every cup, it’s passion. Keep in mind that being a barista is a privilege and people count on you to make good coffee that’ll brighten up their day or be the sweet ending to their night. Make sure you pour some passion into every cup of coffee you make because the customers trust you enough to make their favorite drink. Take that as a challenge and give them the best coffee experience they’ve ever had. Throw some fun into the mix. - As a barista, you are not expected to be a robot. You can be who you are and your co-baristas and customers will love you for it. Have fun, maintain a positive outlook and that 9-hour shift of yours will fly by. Trust me, your daily grind won’t be as bad if you continue to attract and spread positive energy to everyone who comes in and out of your store. Serve your best. - Once you’ve mastered your craft, don’t be afraid to let everyone around the world know how far you’ve come. Join local and international barista competitions to continuously hone your coffee-making skills. With the right amount of dedication and creativity, even first-timers like Justin can bring home trophies and go on to be renowned internationally, thus bringing pride and honor to our country. Soon enough, the Philippines won’t just be known as a country of heavy coffee drinkers; we will be known as a nation of talented and world-class coffee makers. 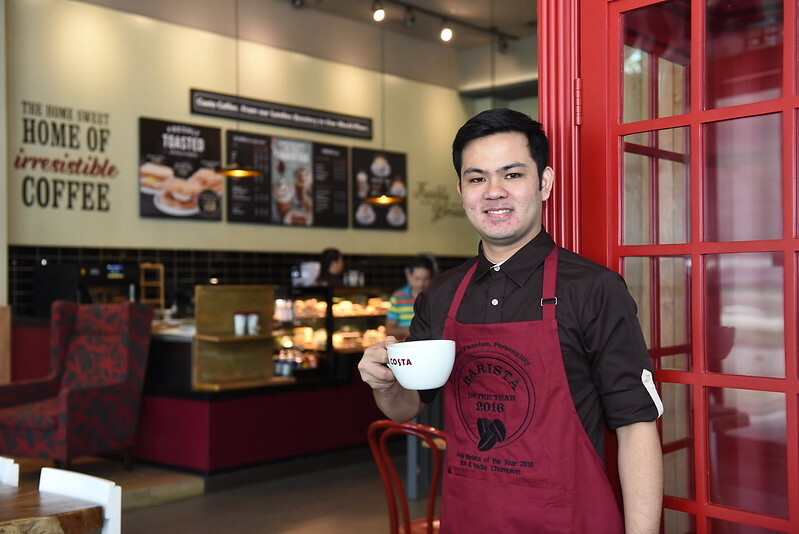 Let’s cheer Justin on as he represents not only the Philippines, but the whole of Southeast Asia and India in Costa Coffee’s Barista of the Year competition! Share your support online by using the hashtag #JustinForTheWin! Best of luck, Justin! I am virtually cheering from the other side of the bar!